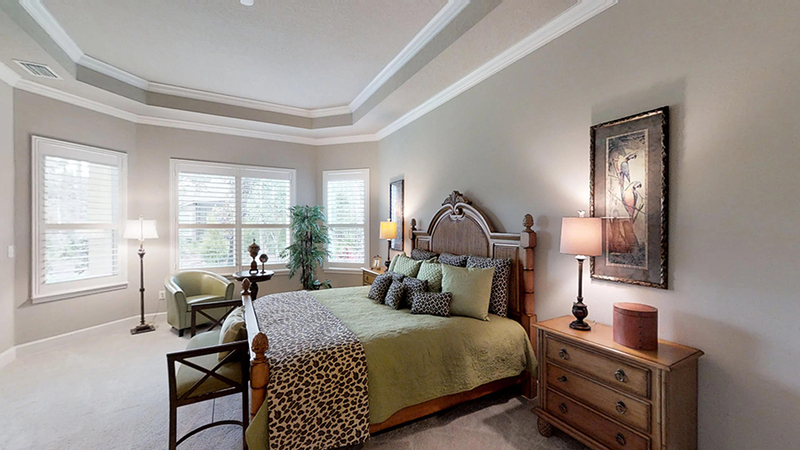 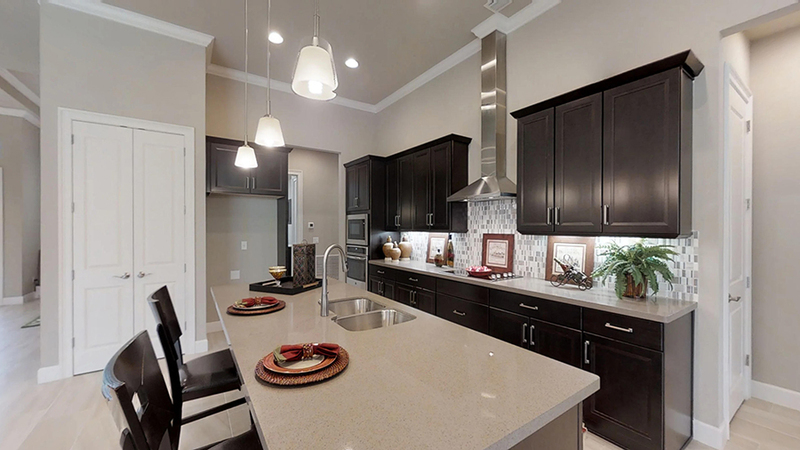 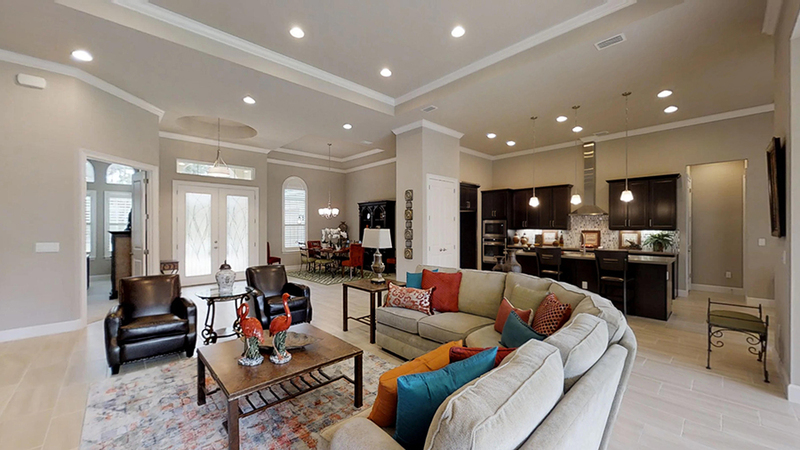 Luxury at its finest is found inside the over 3,000 sq ft of living space in the Egret V! 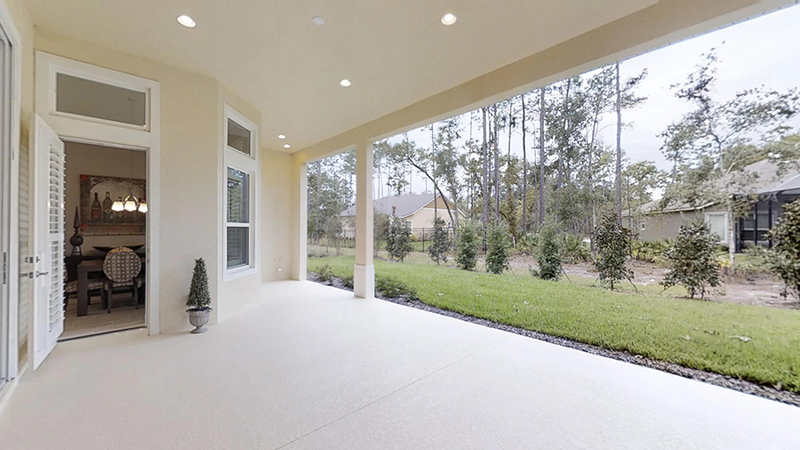 This 4 bedroom, 3 bath home is perfect for those who want to enjoy a large, open floorplan. 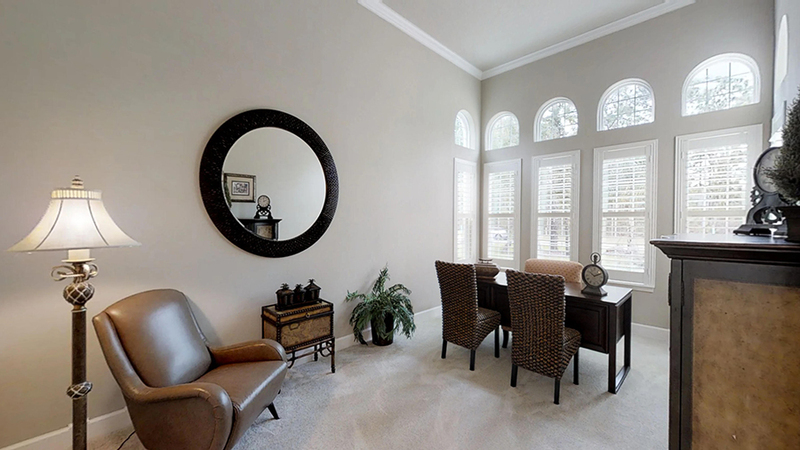 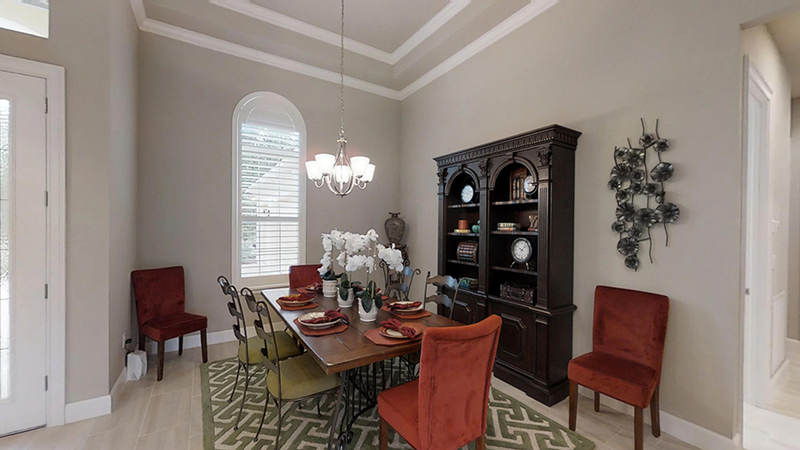 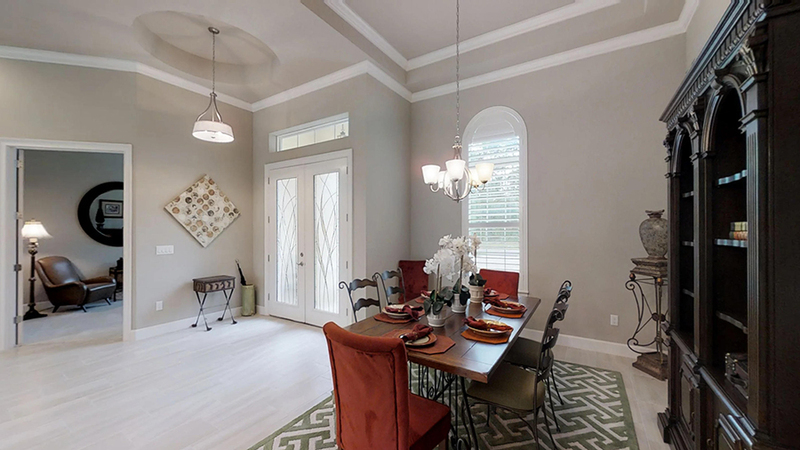 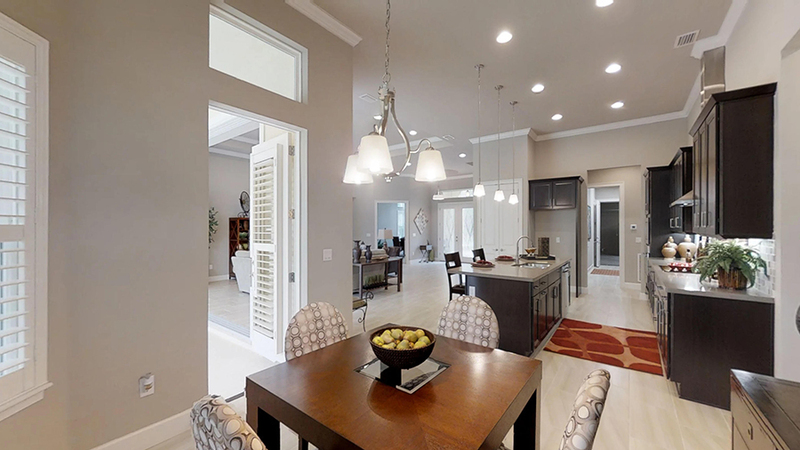 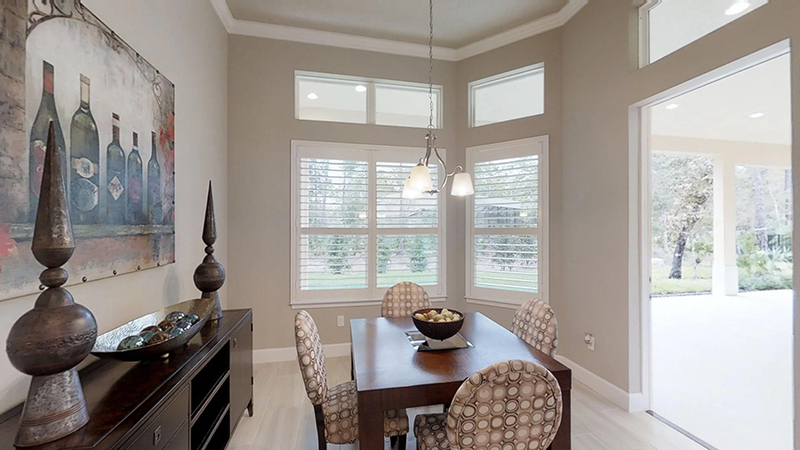 Grand gallery style foyer is flanked by a large dining room and a study with double doors. 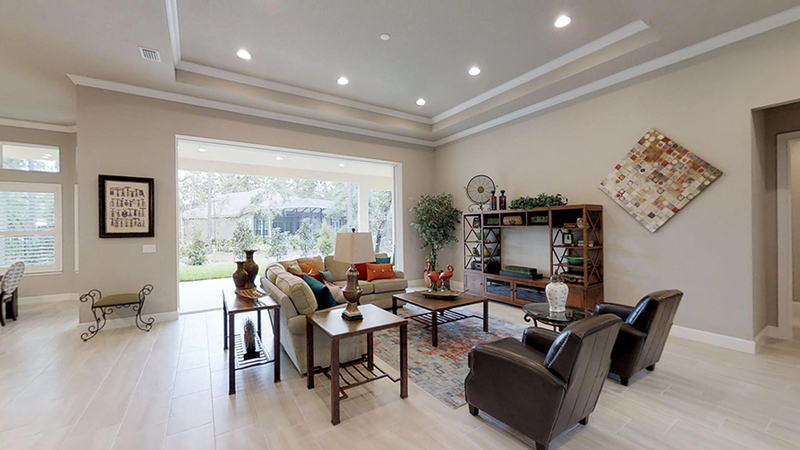 The gathering room with 16ft wide, 10ft high pocketing sliding glass door creates the heart of the home and is complemented by the gourmet kitchen and nook. 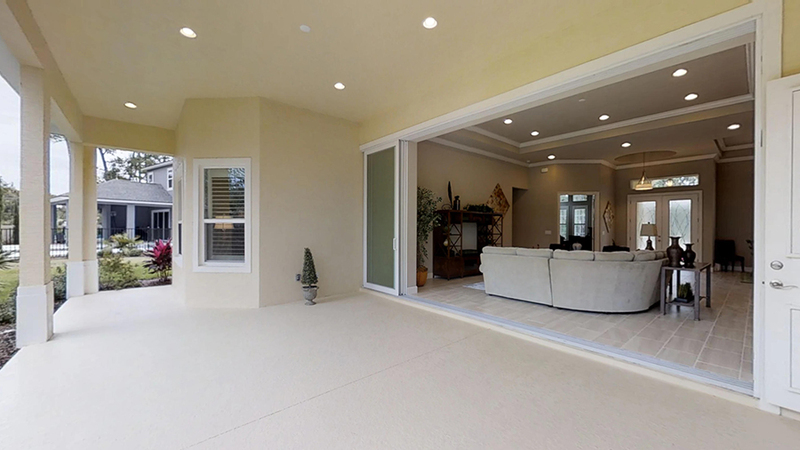 The view out to the large covered lanai brings in plenty of natural light. 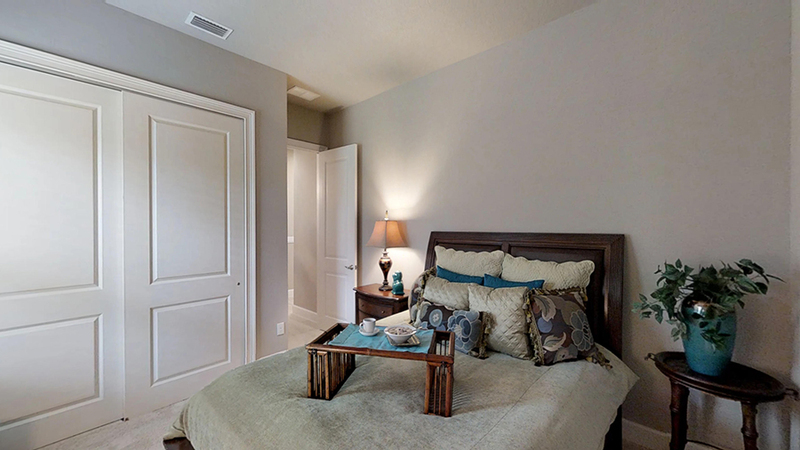 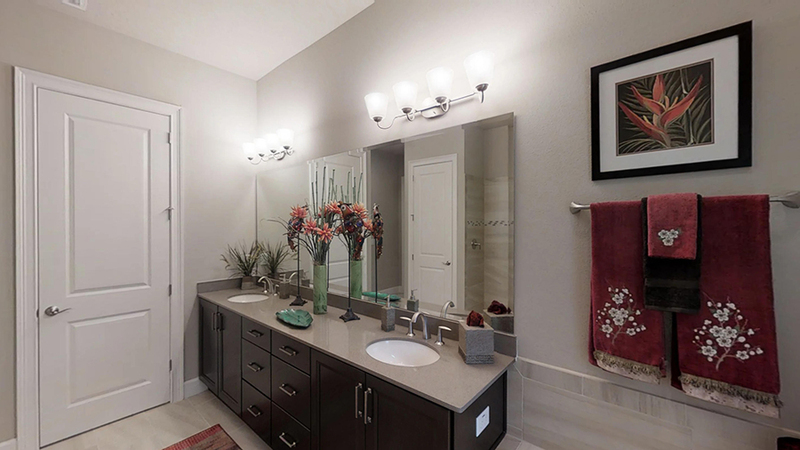 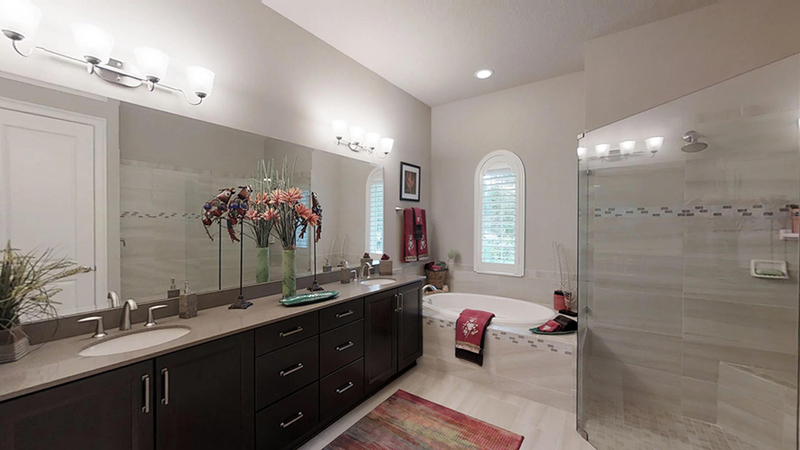 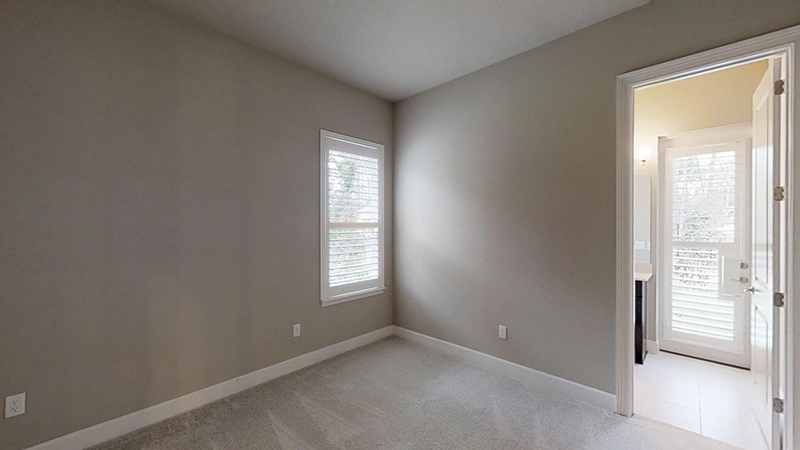 The owner’s suite features plenty of privacy as well as TWO large walk-in closet and spacious bath. 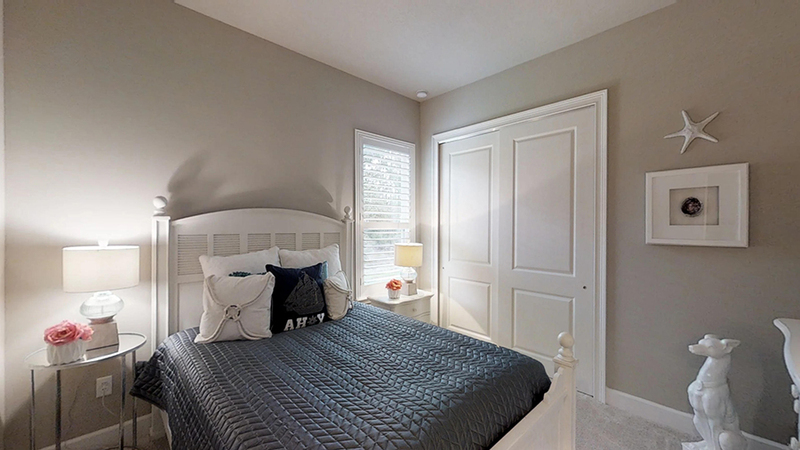 A guest bedroom on the other side of the home enjoys its own separate space in the home as well as its own bathroom while the remaining two bedrooms share a bathroom. 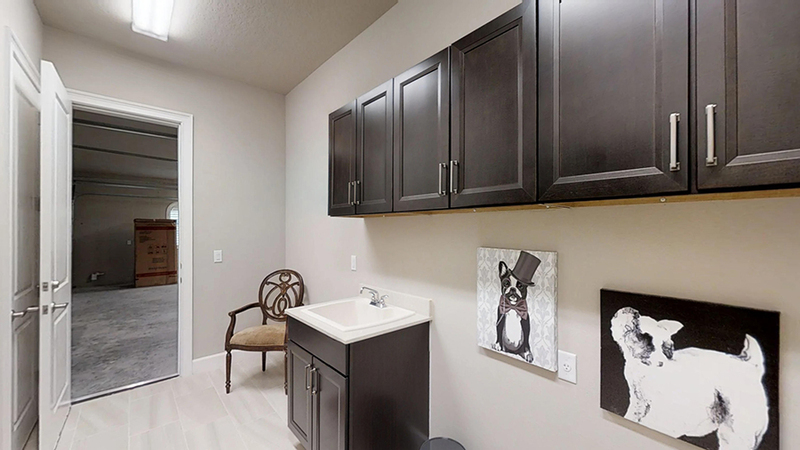 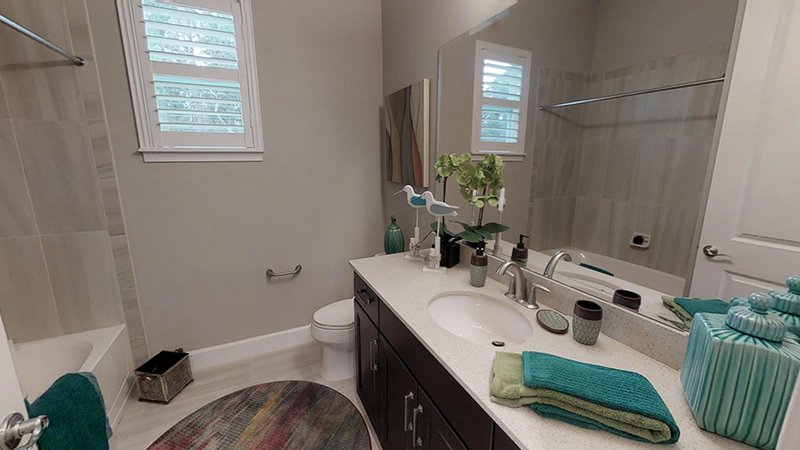 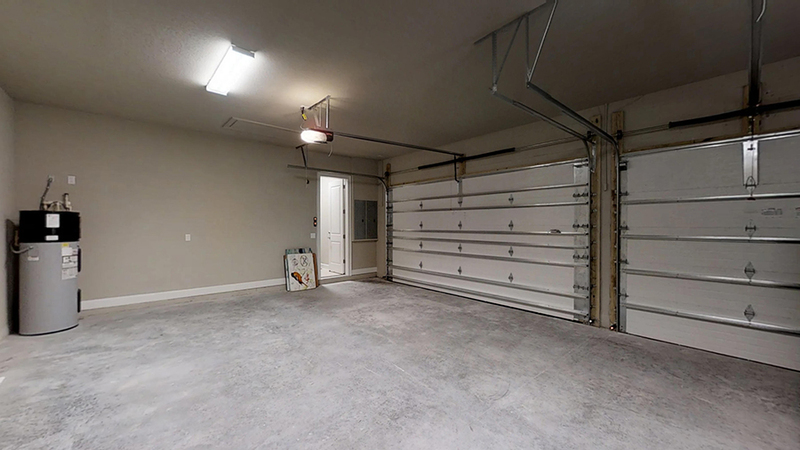 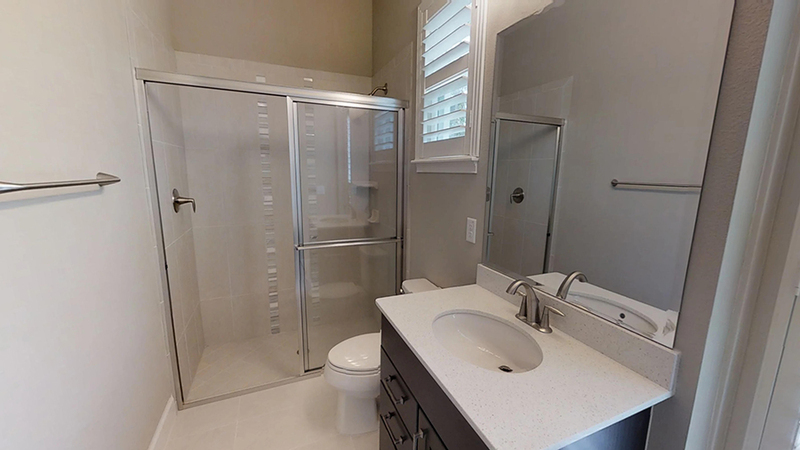 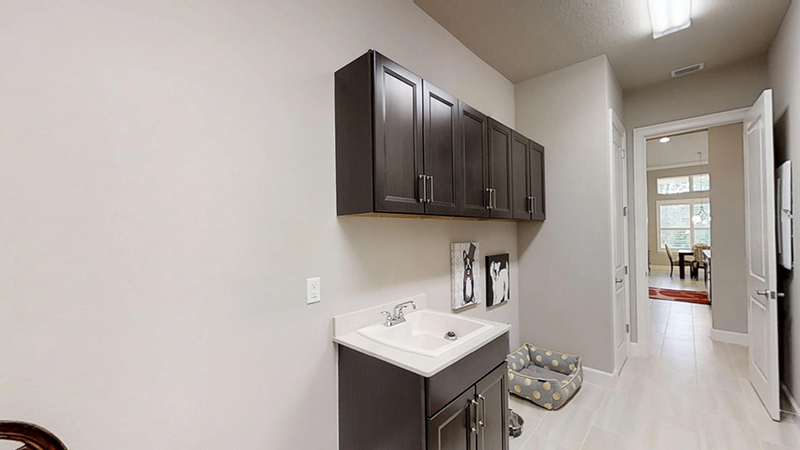 An oversized laundry room with utility sink, cabinets and space for folding is also located nearby the upgraded 3 car garage for all your storage needs. 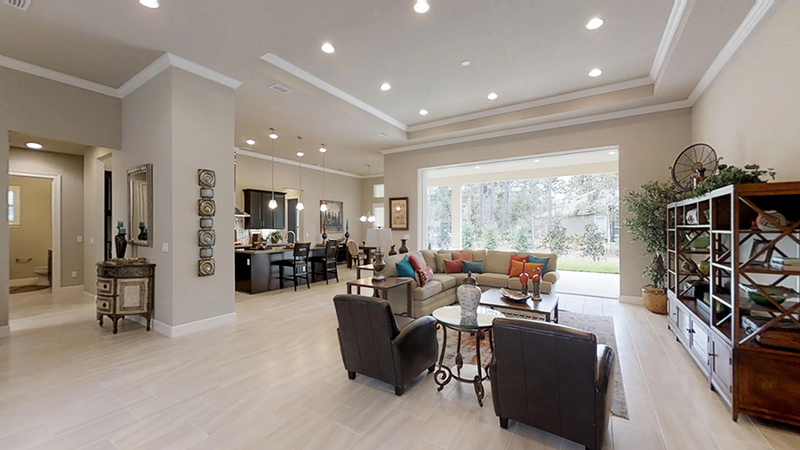 All this sits on an impressive 100 wide by 150 ft. deep homesite, providing plenty of elbowroom between homes. 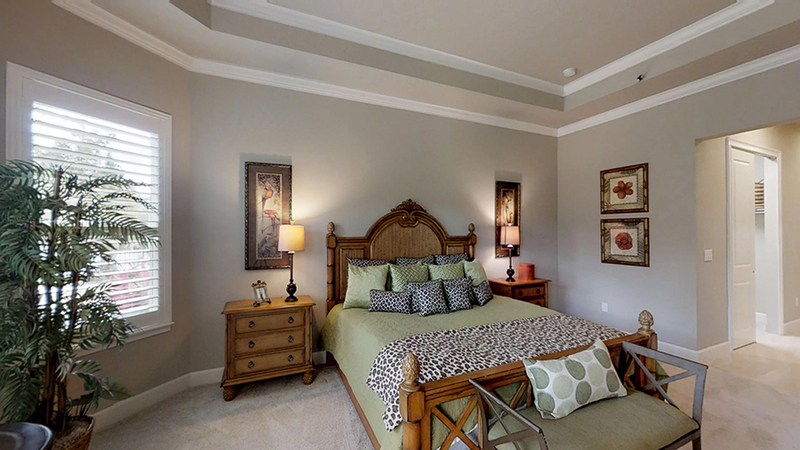 Located in the luxury gated community of Brown's Landing.